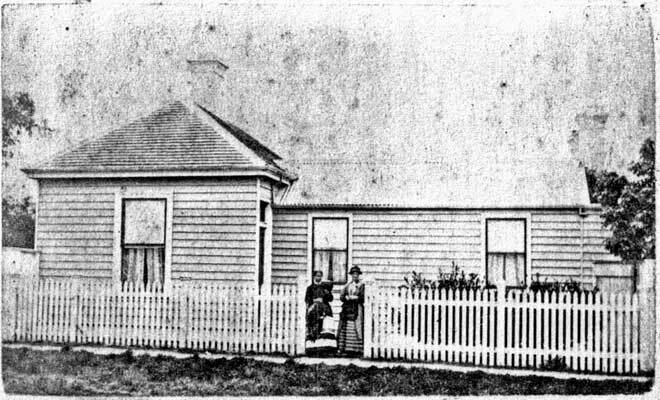 In 1886 Adelaide Hicks opened this maternity home on Factory Road in Mosgiel, the first such home registered in the district. Hicks is pictured here outside the home, probably on the right. The photograph of the two women outside the Factory Rd address is a photo of both Adelaide and her daughter Edith (on the left), who continued to deliver babies at this address until 1953 when the last baby she delivered was Robert Cooper, the third child to her to her niece Frances Cooper nee Hicks. Frances was daughter of James Hicks son of Adelaide Hicks.